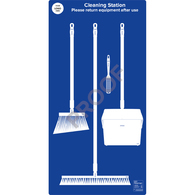 Good food hygiene practice suggests all cleaning tools and production utensils should be stored properly when not in use. 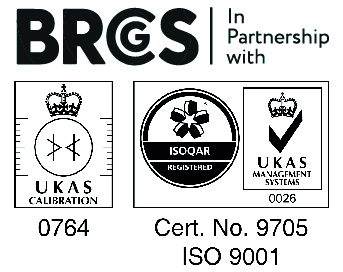 It is a well reported statistic that over 60% of non conformance issues arising through audits nationwide relate to poor housekeeping and care of small manufacturing and hygiene utensils. 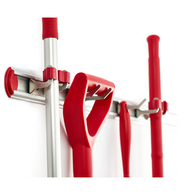 Klipspringer offers a wide range of wall storage, mobile storage and hanging systems for the KsPrism range of colour coded food grade tools. The hygienic design of our shadow boards, wall brackets, rails, hooks and holders does not compromise their durability or ease of use. 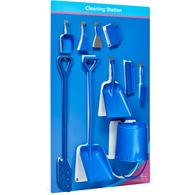 Correct tool storage will keep your cleaning equipment in good condition, extending its working life. This in turn reduces your consumable expenditure. 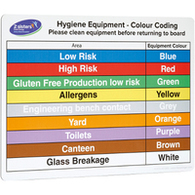 Colour coded foodgrade plastic hooks and holders. Browse the range below or call 01473 461800 to discuss your application with our team.